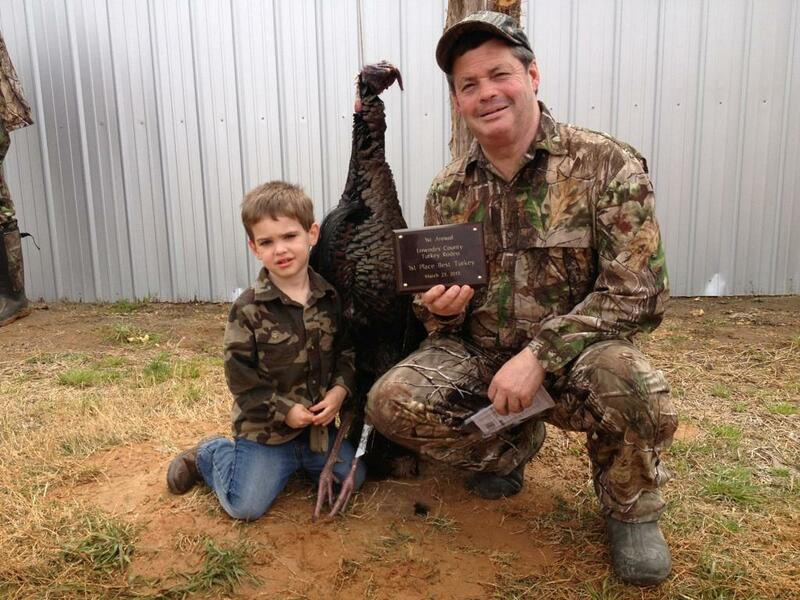 This past weekend was a big weekend for turkey hunters in central Alabama. There were three different turkey rodeos Saturday. The turkey rodeos took place in three counties including Lowndes, Elmore and Bullock. Although we had some bad weather in the days preceding the event, the turnouts were very high and we saw a high number of participants in the Lowndes County event. This event was held in Hayneville, Alabama at property owned by Richard and Delaine Harrell. The Lowndes County Turkey Rodeo was a first class event put together by Trey Harrell and his family-along with help from some friends. The rodeo was a huge success and has been highly regarded by members of the NWTF and other turkey hunting enthusiasts around the area. The format was two man teams that hunted on their own properties and met back at the Harrell’s facilities in Hayneville for bird judging at 12 noon. We saw a good amount of quality birds taken and several teams brought in doubles for judging. The event was lots of fun and a Cajun style shrimp boil was served for lunch to the hunters. Hunters were given tickets for door prizes and gift drawings along with an event T shirt. 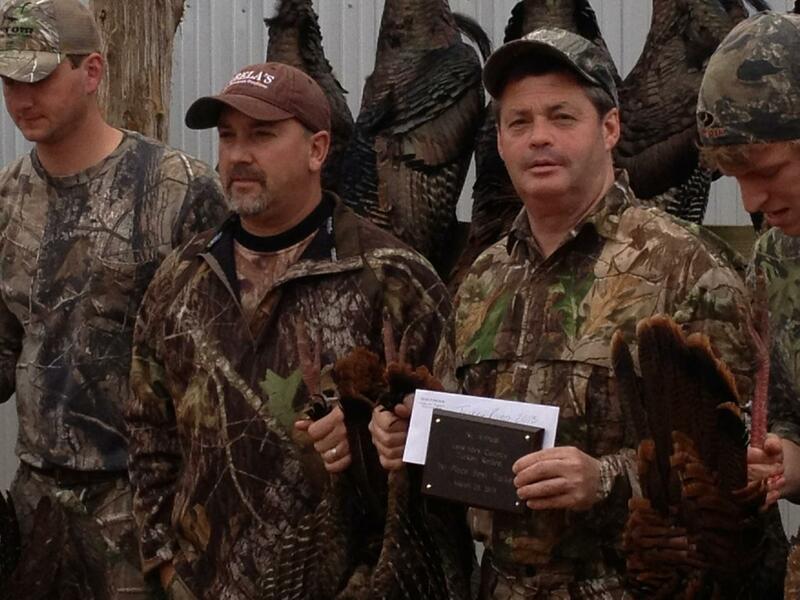 Sandy Harrell and his teammate brought in the biggest bird and won the Grand Prize for the event. The Lowndes County Turkey Rodeo was well organized and a lot of fun for everyone who attended. We will be looking forward to it again next year.